“ESCAPE… is all you think of when you live in a cold, dark dungeon.” Well, to be honest, some of us had other ideas about what to do with dungeons. 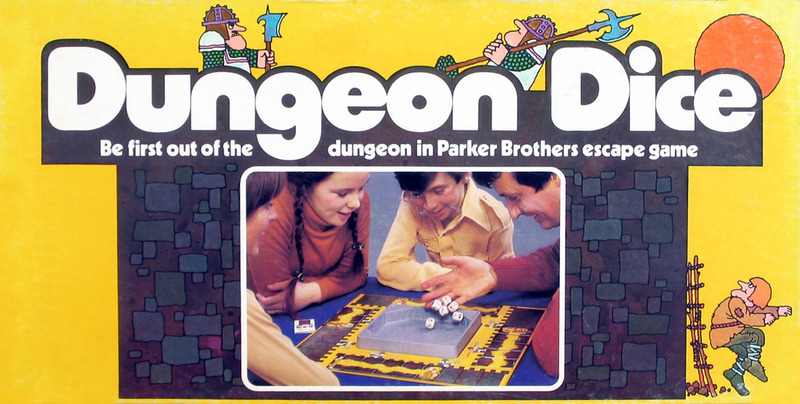 Dungeon Dice was designed by Paul J. Gruen, who invented the Parker Brothers bestseller Pay Day in 1975. 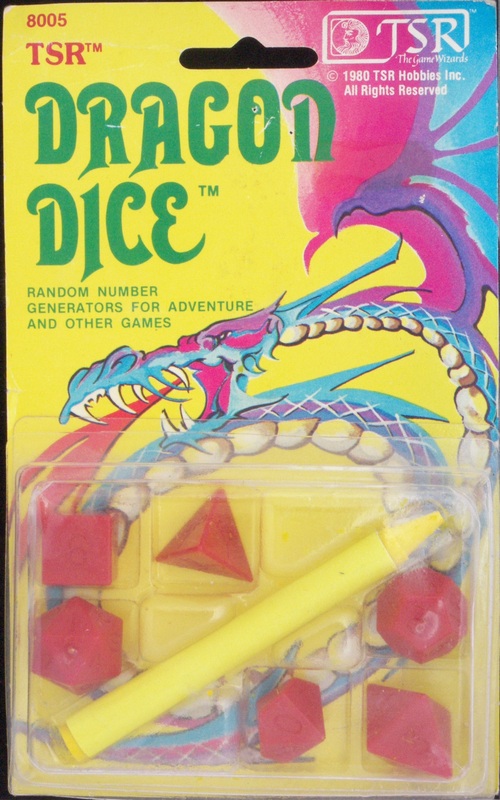 TSR’s Dragon Dice (below) came out in 1980/1981, although TSR was selling sets of polyhedra dice prior to 1977. I never had the patience to color in those dice correctly. They were always flawed. 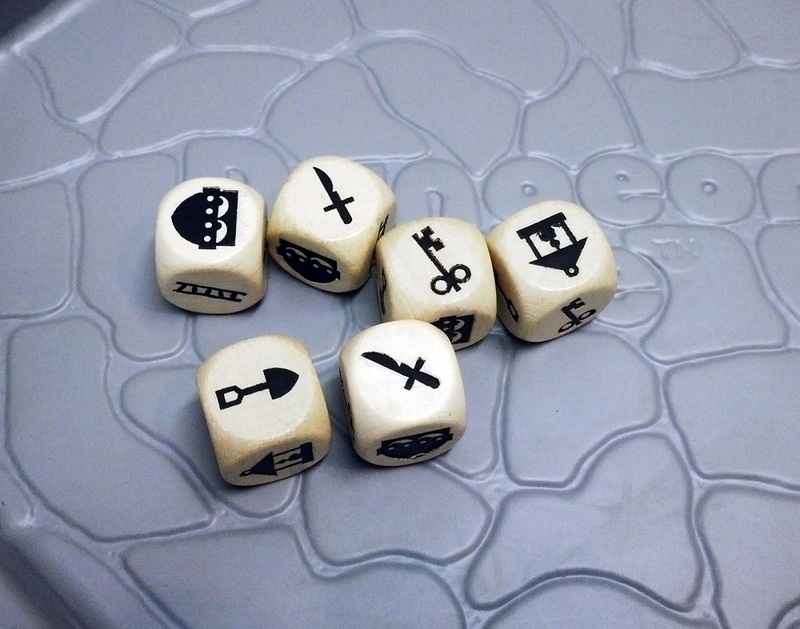 Do you still have our dice? Of course. Multiple sets if them. The really crappy ones are the ones I colored in. Hoo boy. 1981 all over again. I clearly see my old buddy opening up his navy blue Jansport backpack and fetching his die for the quick game at recess. It was entertaining enough for me to watch them contemplate their moves then roll the different-shaped die. 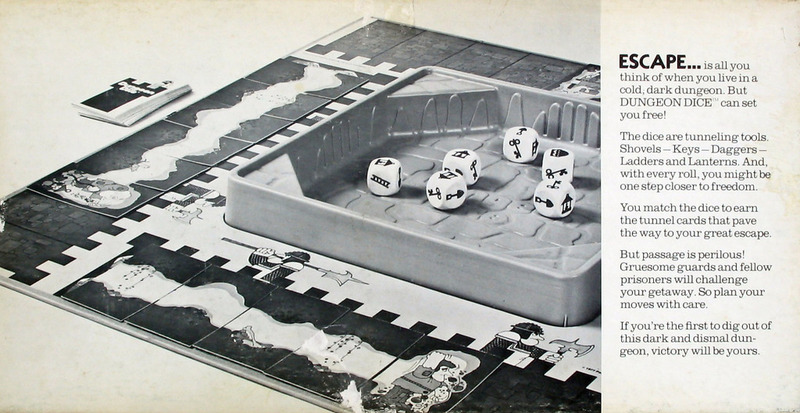 The cool thing was, they were more than happy to explain what each die represented/calculated.